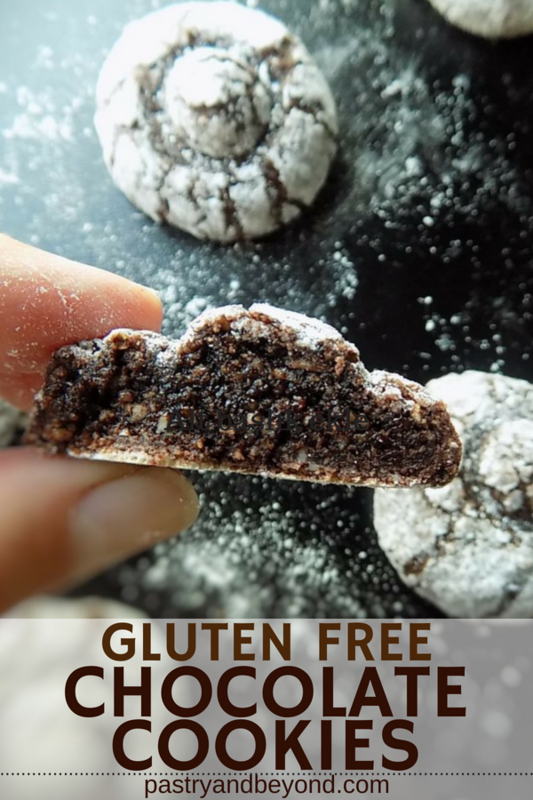 You should try these delicious 4 ingredient gluten-free chocolate crinkle cookies. 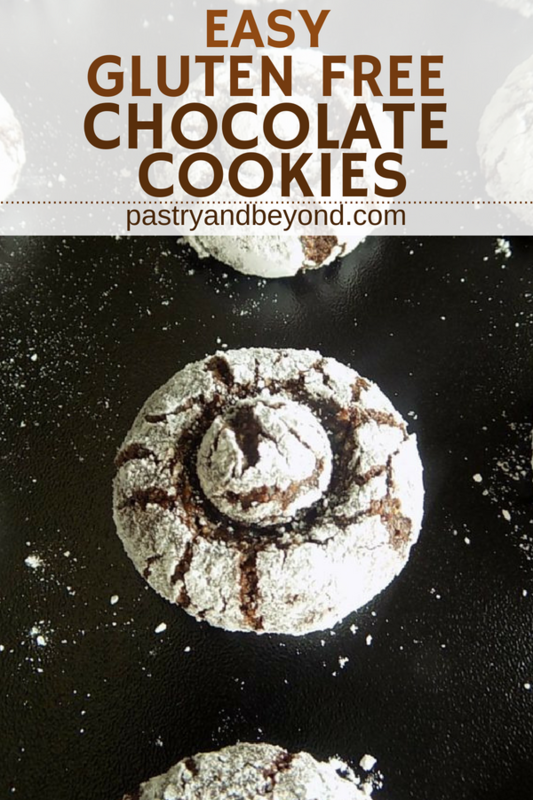 They are soft and chewy cookies with hazelnut and cocoa! 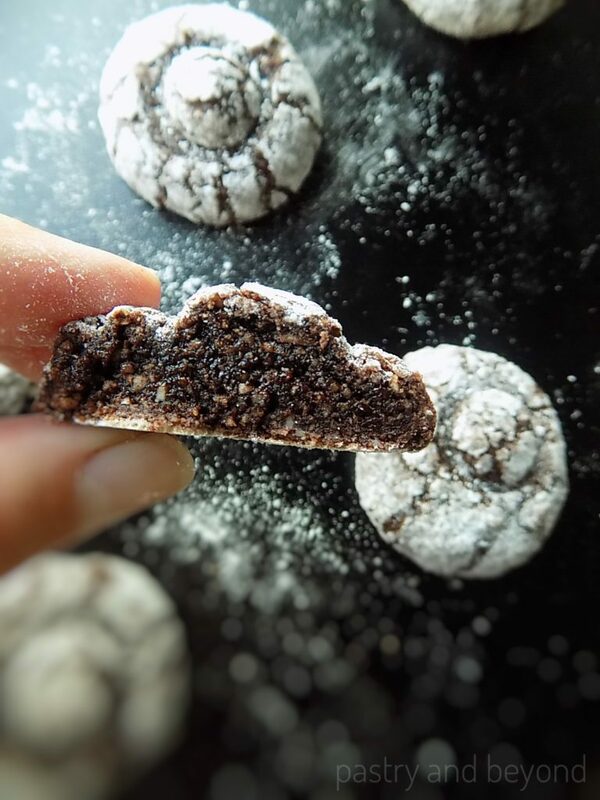 Flourless hazelnut cookies are one of my favorites since I was a child. When I go to a patisserie, they attract my attention immediately. 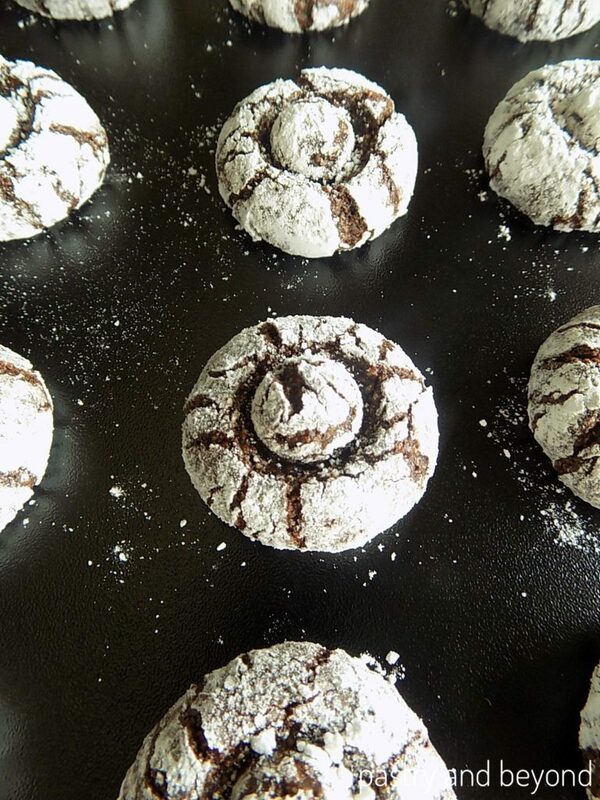 They are richly hazelnut flavored cocoa cookies. They don’t contain any flour so I can say they are one of the healthiest cookies – but still have sugar! 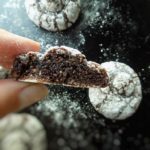 These soft and chewy hazelnut cocoa cookies are very tasty and unbelievably easy to make with only 4 ingredients: egg white, hazelnut, cocoa and powdered sugar. Egg white is known as having a drying effect on cookies, however, in these cookies, egg white helps chewiness. 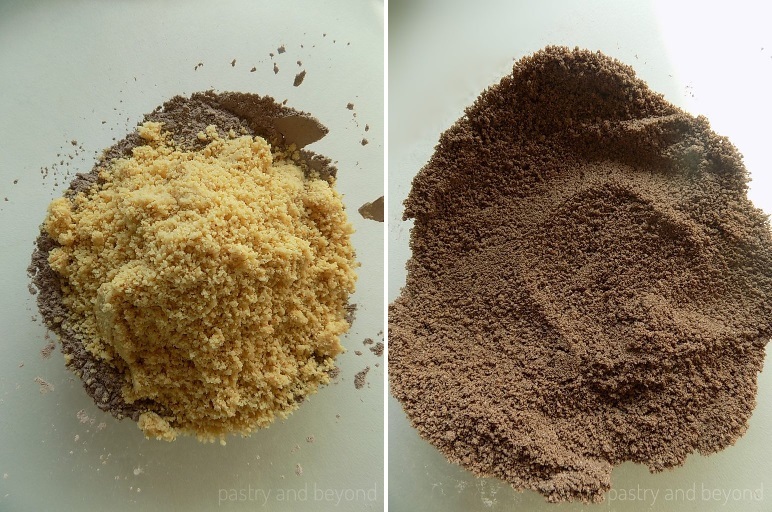 This is the science of the pastry. The end results are affected by how the ingredients are used together. 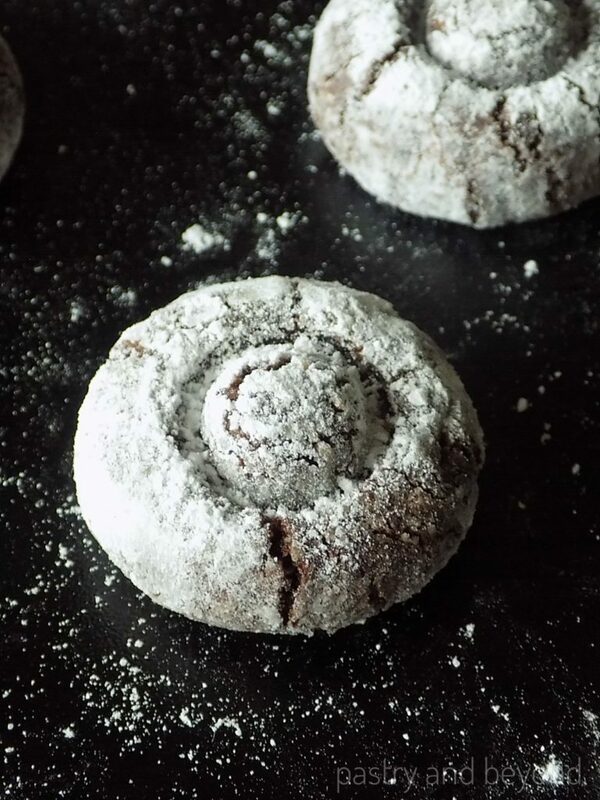 If you don’t have powdered sugar at home, you can easily make your homemade powdered sugar. First, I combine cocoa powder and powdered sugar in a medium bowl and set aside. Then, I put hazelnuts into my food processor and ground them. I make sure not to overdo it. Otherwise, I can end up with a hazelnut butter. Later, I add in ground hazelnuts to the cocoa mixture and mix well. Finally, I add the egg white and mix very well with my spatula until they all incorporated. The dough looks like a paste. After the dough is ready, I roll into 14-15 grams balls. Alternatively, you can divide the dough equally into 14-15 pieces and roll each into a ball. Next, I lightly cover the balls with powdered sugar and place them on the baking sheet. Finally, I bake them for 6-7 minutes until the cookies are slightly firm but still soft at the same time. When I take them from the oven, they are too soft to handle. I keep them on the baking sheet for 10 minutes until they are firm enough. Don’t overbake the cookies! Otherwise, they lose softness. Once these cookies have cooled down, I keep them in an airtight container so they keep their softness. 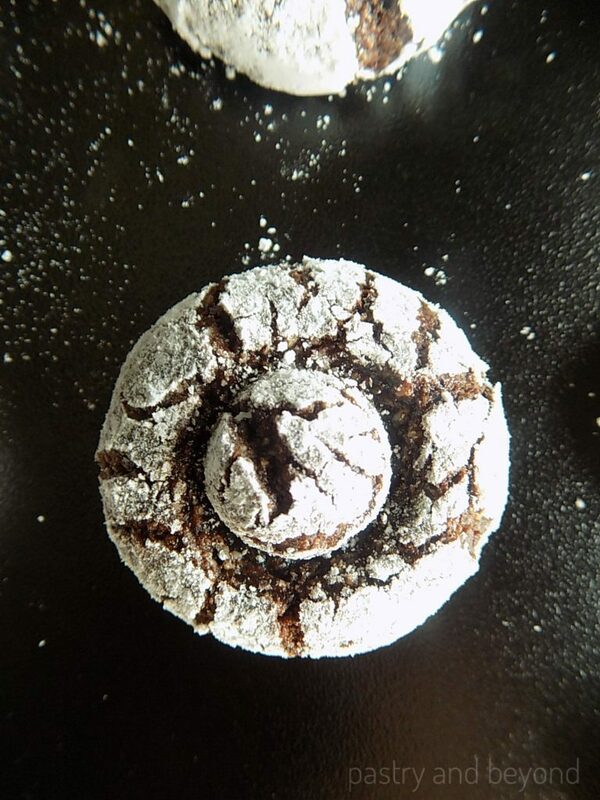 Enjoy your delicious hazelnut cocoa cookies! 1 egg white is approximately 35 grams. Sometimes they go up to 42 grams. If you think, the egg white weighs more than usual, keep aside some of the egg white. Too much egg white will make the dough too sticky and make it hard to make the balls. OR, if you are not sure, you can leave out a little egg white anyway and add it later if needed. The balls should be sticky but still easy to roll. If you find it hard to roll the dough into balls, keep the dough in the fridge until you feel comfortable to roll them. Baking time may vary from oven to oven. After 6 minutes you should check your oven. You shouldn’t overbake these cookies, otherwise, they will lose their softness. They will be too soft to handle when they are out of the oven but they will be firm as you keep them on the baking sheet for 10 minutes. 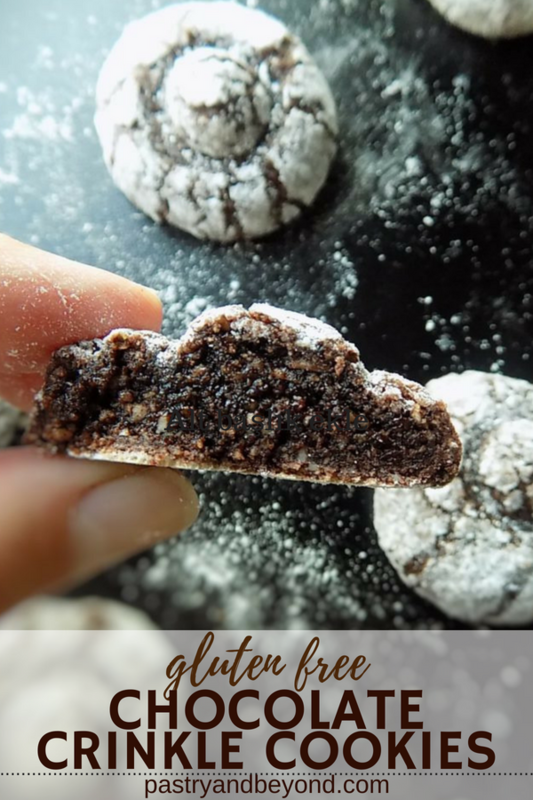 You'll love these easy and delicious gluten free chocolate crinkle cookies with hazelnut and cocoa! 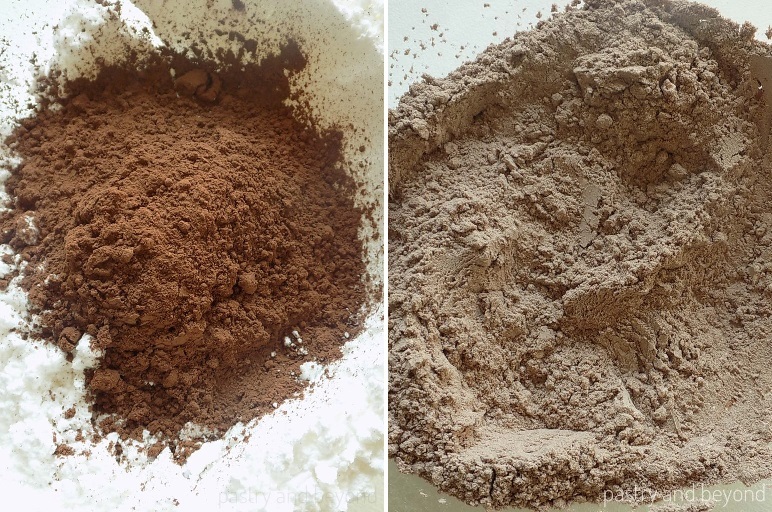 Put powdered sugar and cocoa powder in a medium bowl and mix. Set aside. 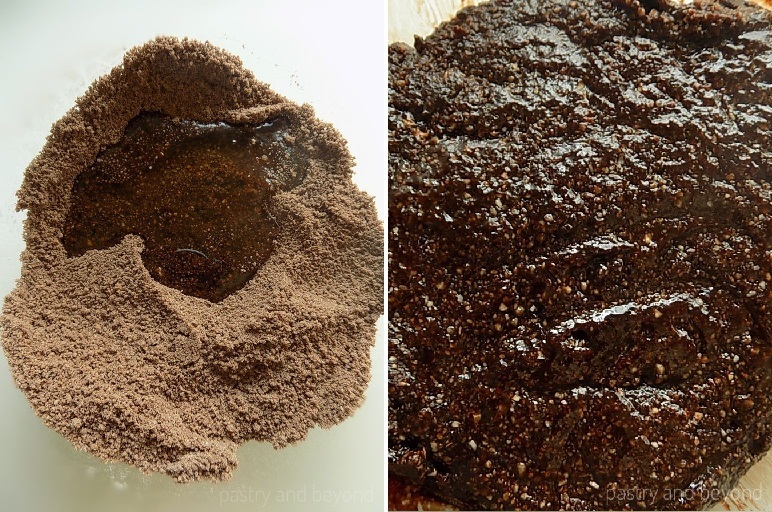 Ground the hazelnuts in a food processor. Then add in the cocoa mixture and mix well. Add the egg white and mix all with your spatula until they form a paste. 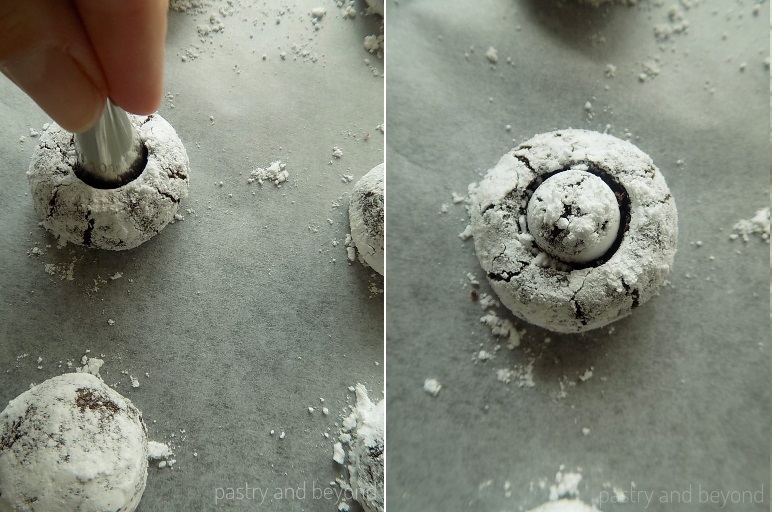 Lightly cover the balls with powdered sugar and use your round tip to make a sign in the middle of the balls. Bake for 7 minutes or until the cookies are slightly firm but still soft. When you remove them from the oven, they will be too soft to handle. Keep on the baking sheet for 10 minutes until they are firm enough. Once they have cooled down, keep in an airtight container to keep their softness. 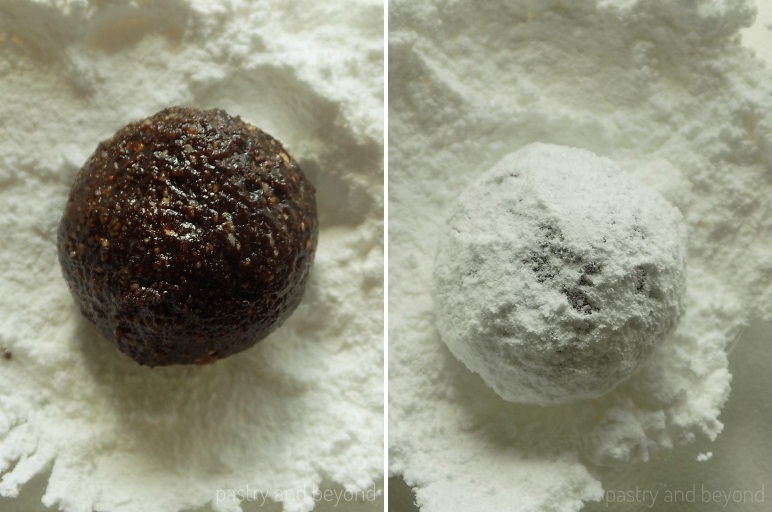 *You can easily make your homemade powdered sugar. What a great idea to use ground hazelnuts instead of flour, these cookies sound amazing I can’t wait to give them a go! Thank you! I’m sure you’ll love these cookies when you make them. I’m an absolute sucker for soft and chewy cookies. These look seriously delicious!! Thank you! These cookies will give you all the softness and chewiness you want. These look delicious, the kind of thing I might make for a gift at Christmas! Thank you! They are perfect as a gift for special occasions. Hope you make and enjoy! These cookies look so very delicious, and very moreish. A lovely combination of chocolate and haszelnut for that perfect taste. A nice alternative to regular cookie recipes. Thank you! They are very delicious. It is nice to eat delicious cookies without any flour! 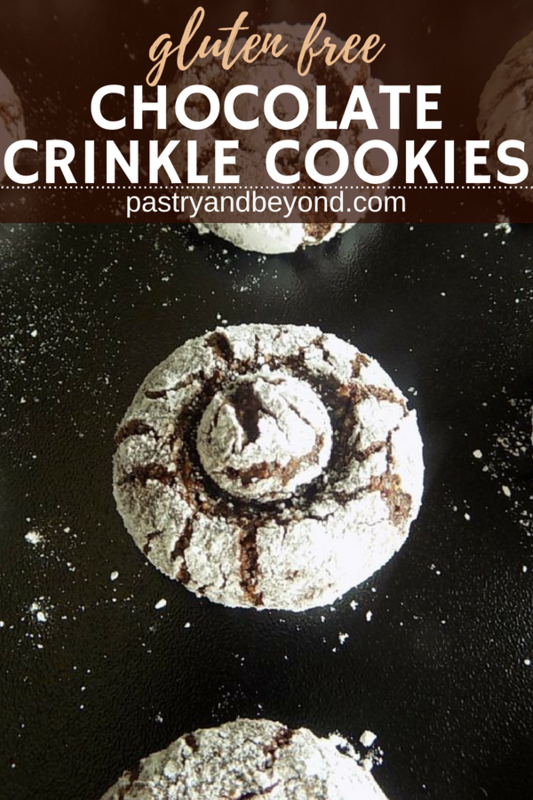 I love crinkle cookies but have never mastered them at home. 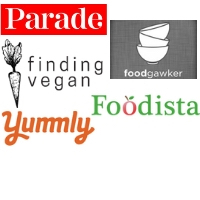 will give your recipe a go. I wonder if using the ground nuts instead of the flour helps you achieve such a good crinkle? 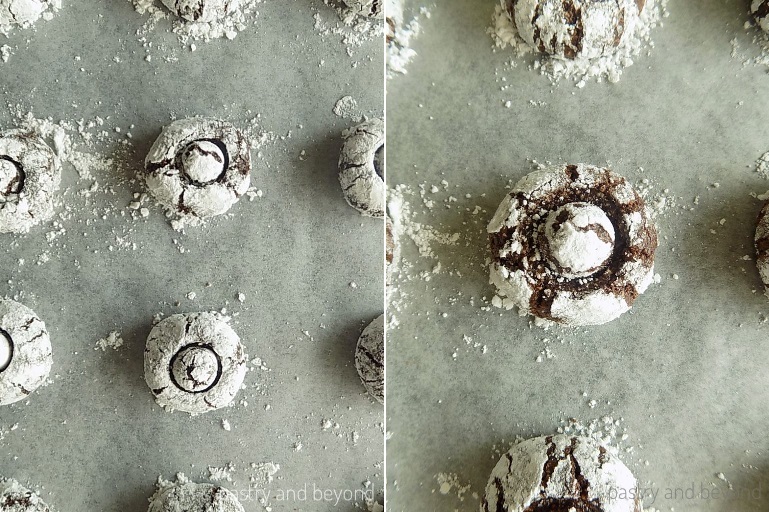 If you want to make crinkle cookies with flour, you will need a completely different recipe with butter and some other ingredients. I hope you make these cookies. Hazelnut & cocoa make a nice combination! They look amazing! Cannot wait to try! These cookies look so easy and so fudgy. I’m drooling! This looks delicious. I love anything chocolate. Must taste like Nutella. “I will eat that mama.” That’s my daughter when she saw this recipe on my laptop. Cookies is her favorite. Thanks for sharing. I will try this for her. Your comment made me so happy:) I believe she will love these cookies.